Let me start by emphasizing that this post is not a reflection on Fox News, CNN or even Comcast. What this post is is an example of what I consider the utter absurdity of a cable TV ad — on several levels. The ad has Bill Hemmer, a newsman who has been on CNN and now is one of the main anchors on Fox, promoting advertising on Comcast Spotlight. The following is the script of the ad. 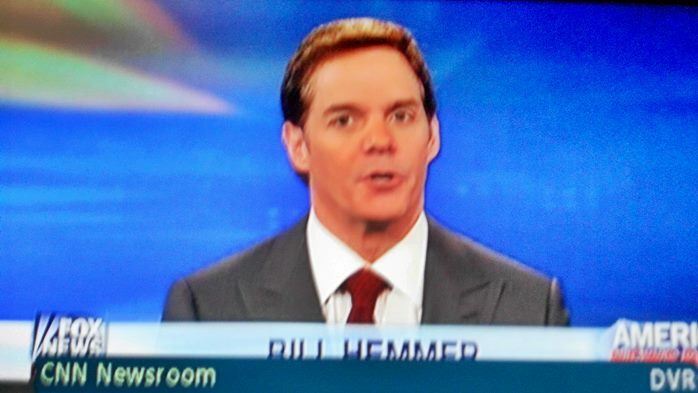 Hi, I’m Bill Hemmer from America’s Newsroom on the Fox News Channel. Why advertise on Fox News with Comcast Spotlight? While the number of prime time broadcast TV viewers has gone down, the number tuning in to cable news has actually gone up – and Fox News has dominated as the Number 1 rated cable news channel since 2002. That gives you a powerful and geographically targeted platform to reach your customers. So advertise your business locally on Fox News with Comcast Spotlight. It is an ad for Comcast, which owns CNBC — an ideological Fox competitor. I report — you decide.